Meta Build Industries, the leading metal alloy manufacturing company for aerospace industries has implemented AS9100 system in their organization with the help of Global Manager Group and achieved AS9100 rev C certificate from NVT accreditation body. The AS9100 Rev C is as standard for quality management system and requirements for aviation, space and defense organizations. 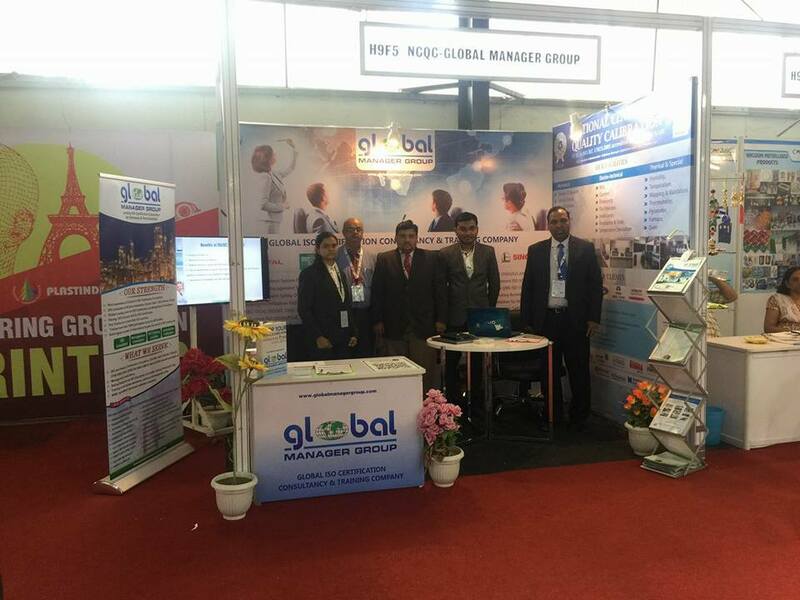 The company has successfully implemented quality management system, documentation preparation and training for awareness of the implemented system with the help of Global Manager Group’s consultancy services, which results in awarded compliance to AS9100C certification standard for Aviation, Space and Defence organizations. The certifications are granted by NVT, widely recognized and prestigious accreditation body after successfully audited the implemented quality management system with hard work of more than 5 months of system establishment and 2 stage audits by authorized certifying body. This is the big achievement for the company to get certificated for international standard AS9100 from globally reputed accredited body like NVT. Global Manager Group has completed system implementation for AS9100C certification consultancy projects within time limits by implementing effective system. AS 9100 rev C helps organization to achieve quality requirements in all departments, which results in continuous improvements. It helps organization to achieve scope of design and manufacturing of metal alloy component by metal injection moulding for aerospace industries under this certification. It manages the quality requirements of an organization to control all the process in each department. Global Manager Group has given system awareness training and auditor training to all the employees of the organization as well as prepares documentation like AS9100 manual, procedures, SOPs, exhibits, audit checklists etc., which results in achieve AS9100 certification in first attempt. During this highly technical consultancy project, Global Manager Group has helped Meta Build Industries to understand requirements of AS9100 system awareness, gap analysis, work management, internal audit as well as final assessment audit, done by NVT accredited certifying body auditors. Meta Build Industries is a leading manufacturer and supplier company for designing and manufacturing of metal alloy component, which are used in aerospace industries. It is known as efficient organization comprising a team of dedicated professionals in all area of metal manufacturing process. All products released by the company are strictly checked as per the customer defined requirements and in-house specified requirements. The company is committed to implement quality management system, which structured to comply with the conditions set forth in international standard AS 9100 Rev C.
Global Manager Group, leading ISO Certification Consultancy Company has released AS9100 rev D documentation kit for Aviation, Space and Defense Organizations to prepare quick documentation and hence certification process. In the AS9100 document kit GMG provides quality manual, mandatory procedures, SOPs – standard operating procedures, quality policy and work instructions, sample forms as well as ready to use templates in .doc formats. The AS9100 standard was revised in 2016 as AS9100 rev D, with this document launching, Global Manager Group becomes the first organization that has published and provides ready-to-use documents online. This product will help aerospace industry in preparing documents for AS9100D certification in quick time. With releasing AS9100 D documents, GMG has committed to share knowledge and experience in the field of implementing Quality management systems and certification worldwide. Also, take care of key objective that using GMG’s readymade documents any organization can quickly completes documentation process for their organizations. The key feature of this product is its user friendly templates in documentation kit for AS9100. 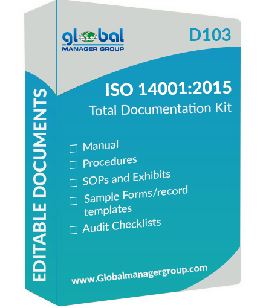 Global Manager Group has taken initiative and prepared the complete set of AS9100D documents, which includes AS9100 manual, AS9100 procedures, process approach as well as policy, formats, audit checklists etc. to help Aviation, Space and Defense Organizations to update and accredit their system in quick time. The AS9100 total documents are written in plain English and it covers all the requirements of clauses and sub clauses defined in AS 9100 revision D standard. The readymade documentation product helps user to save time in searching documentation that minimize revision, reducing cost and time that results quick certification.